Fun fact: my husband and I first became friends in our high school ceramics class. Seeing beautifully hand crafted ceramics always remind me a bit of that time in our lives. No, I am not saying that we crafted beautiful ceramics back in high school. I mean, I thought making a bust of Mark Twain was a good idea. Why??? But, the notion of ceramics in general remind me of the beginning of our relationship. 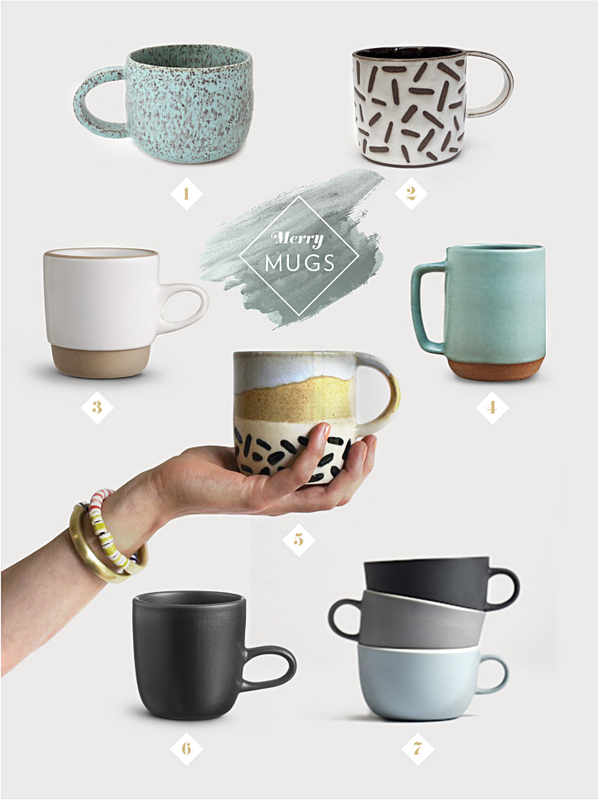 Anyhow, I recently got a gift card to Heath Ceramics for my birthday, and it got me thinking about mugs. I've been thinking about very slowly replacing our cheap Pier 1 mugs with a mismatched, yet coordinating set of more unique ceramic mugs. I'm trying to incorporate more handcrafted pieces in our home, and this seems like a good, comforting way to start. There's just something about the experience of drinking your coffee or tea out of a beautiful mug. Surely, it must taste better, am I right? Anna understands. With the holidays approaching I'm in the mood for some apple cider and hot chocolate out of one of the above beauties. Side note: I realize that I'm announcing that I'm starting a mug collection. This is a bit scary. Hopefully, I don't end up with a household of Precious Moments figurines and ceramic cats.